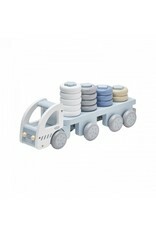 Wooden truck in soft blue colour. 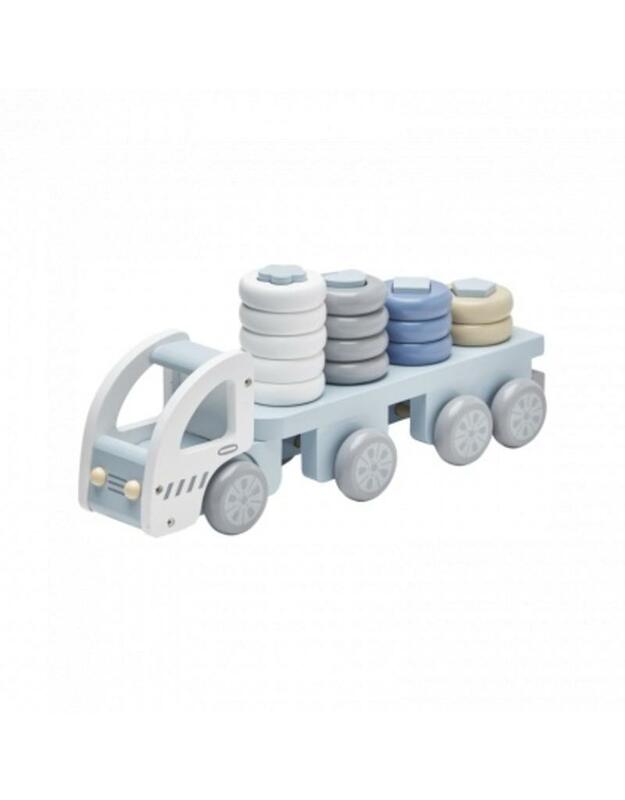 The trailer has four sticks where you can stack rings in various height and combinations. 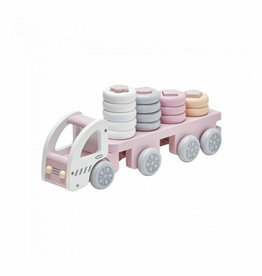 Wooden truck in soft pink colour. 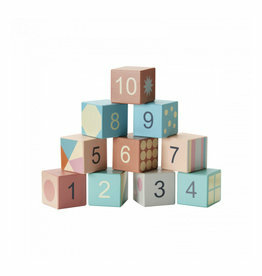 The trailer has four sticks where you can stack rings in various height and combinations.